Claim tracking is an important part of any agency’s process. The insured’s experience with his or her agent when filing a claim is a significant factor in the relationship. The insured looks to the agent to guide them through the process, answer questions, and help manage expectations. Getting the most up-to-date information from the carrier is an additional burden on the agency’s staff. Claims download alleviates this burden by sending the information directly to EZLynx Management System. After receiving numerous requests to support downloaded claims at AgentLynx 2017, we are excited to announce that we are implementing full support for claims downloads in our Advanced and Enterprise packages in the coming months! 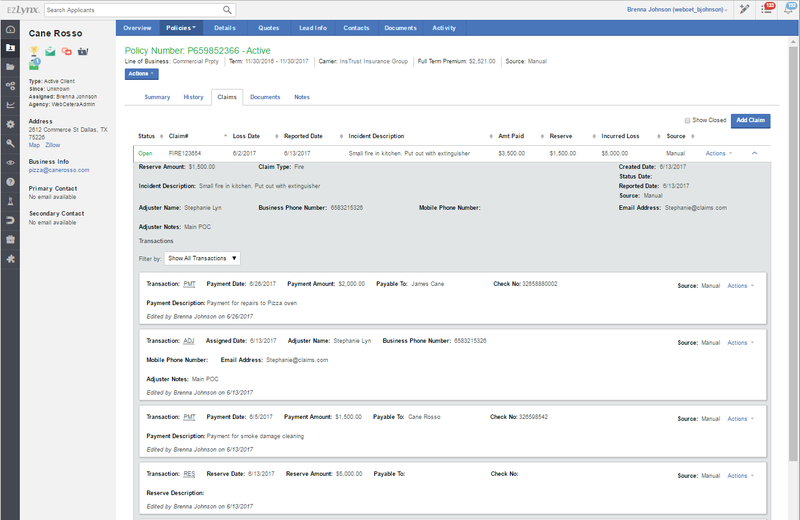 With this enhancement, you can automatically track and manage claim information, quickly answer questions from the customer’s account, and maintain an overview of your incurred losses. This feature will automatically update EZLynx Management System with the latest information to give the agent a full picture of the claim status. Claims support is just the latest feature to help your agency increase productivity, serviceability and profitability in EZLynx. All claims, manual and downloaded, are listed in the claims transaction page. 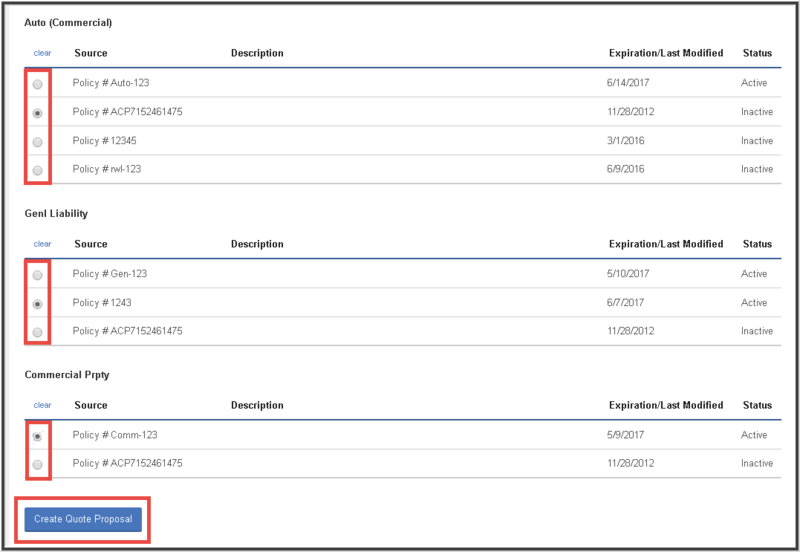 The look and feel match the policy transactions page with different filters and adjustable columns. The information flows from the carriers to the correct customer and policy for quick access. EZLynx will attempt to match the downloaded claim based on the claim number and policy number, but if we are unable to find the policy, the claim transactions will appear in the unmatched section for you to review. 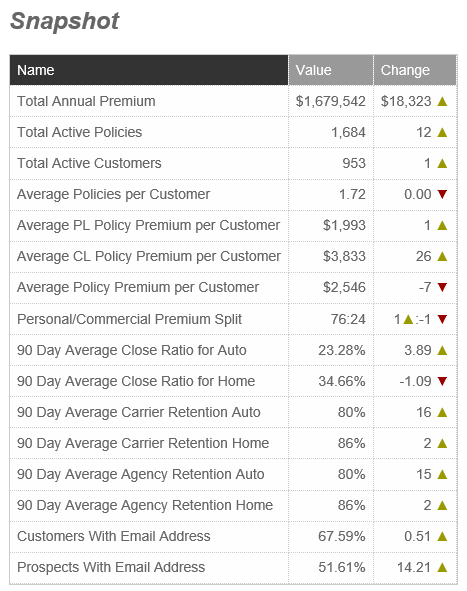 Once the claim is associated to a policy, a summary will display on the customer’s overview page for quick access. The summary displays the most recent information on the claim, adjuster, and payments. This enables anyone with access to the customer to answer questions about the adjuster and payments. Your agency can confidently answer customer questions directly from EZLynx to save time and provide exceptional customer service. We provide a detailed view of all the transactions on the policy claim tab. This enables you to see each transaction the carrier sends. We automatically track and calculate the amount paid, reserve, and the incurred loss for each claim as the carrier sends it. If you’d like to participate in the beta for this new feature, you can sign up here. If you simply want to learn more about Claims Downloads or EZLynx Management System, please contact us using the form below. EZLynx, an industry-leading Agency Management System and Comparative Rating vendor for the independent insurance industry, announces new reporting tools to increase the usability of information provided within their ONE PLATFORM™ suite. These enhancements include optimizations and new features that will benefit agencies who want to take full advantage of their system to make intelligent, data-driven business decisions. The Applicant Summary Report shows agents demographic information on their current policy holders. This report includes valuable information like Active Policies and Average Premium per Customer as well as summary statistics on gender, education level, and marital status. The ability to Email a report to your colleagues without leaving the reports page is coming soon and will help with large files that take a long time to export. With this feature you can have the report emailed to you and your coworkers so that you can continue working while the export process runs. 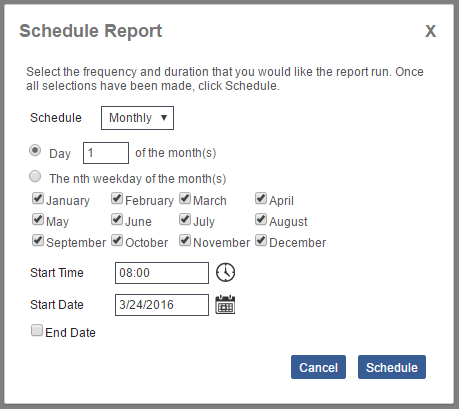 Scheduled Reports is a new feature that will enable a report to run on a daily, weekly, or monthly basis. You will no longer have to log in to the reports page to run the same report each month; simply have it scheduled to be delivered to your inbox! These changes are only the beginning. As a company, we are committed to continually improving our product based on the needs of our customers, and that commitment extends to Reporting where we have a grand vision that spans far past 2016. From new reports that show unsold business, to visualizations showing policy trends over time, Reporting has an exciting future at EZLynx! We are excited to begin live testing of some powerful commercial features in EZLynx. If you’re interested in participating in the BETA, you can let us know below. Maintain more accurate policy information and improve reporting capabilities by truly grouping lines of business within a one single package policy. When adding a manual personal or commercial package policy in EZLynx, the user can now add the individual policies included in the package. After selecting either personal or commercial package as the main Line of Business, add any number of individual LOBs and their premiums as you’d like. 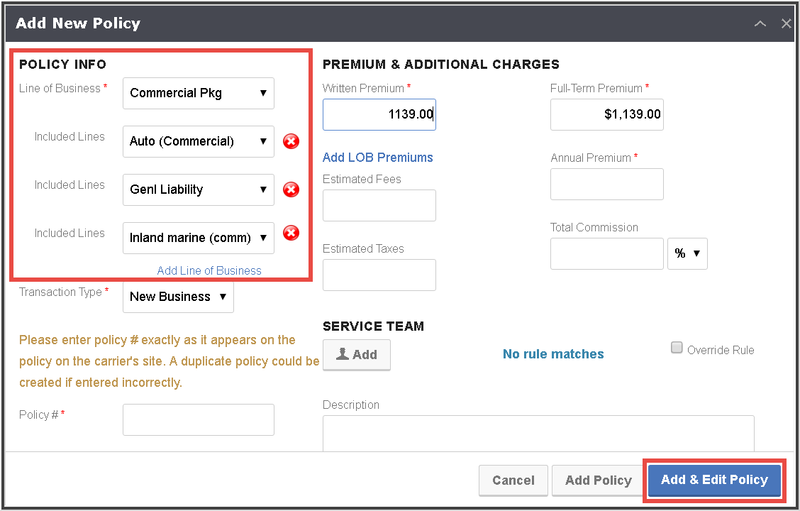 The Add & Edit Policy feature prompts the user through a series of tabs for adding detailed policy information; to reduce data entry keying, some tabs gather information that can be shared across multiple policies. The ability to add commercial applications in EZLynx is a huge, time-saving tool for agencies that write commercial business. Complete the application once in EZLynx, then easily create necessary ACORD form for submission to multiple carriers. Take an application and quickly transform it into a policy or take a policy and create an application from the data. 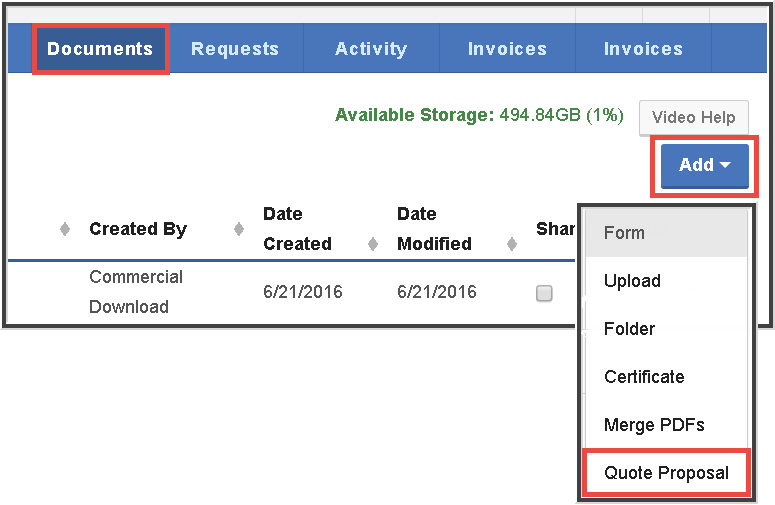 From a Commercial applicant’s Documents tab, click the Add button and select Quote Proposal. 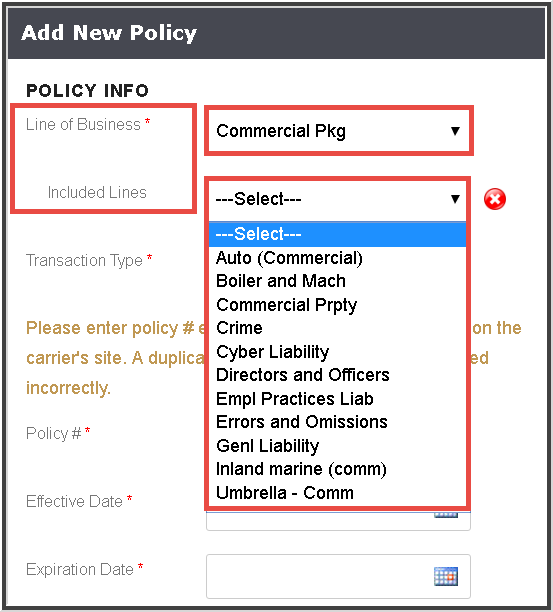 Ability to select one manual policy from each LOB, then click Add Quote Proposal. The feature will be expanded to include downloaded policies in the near future. EZLynx is committed to enhancing our commercial support this year. We’d love to get your feedback! A common concern we encounter from our customers is the risk of losing their data when moving to a new management system. As you amass more information, maintaining your data becomes increasingly important. EZLynx has developed a proven process to help our customers migrate their data to EZLynx Management System – a process in which our customers have been happy to talk about. Nothing is left behind due to EZLynx’s effective conversion process. When you’ve opted for data transfer, EZLynx maintains constant contact with your team. Your data is customized into a conversion plan suited to your unique needs. EZLynx’s success is based on our customer’s happiness, and all of our actions are directed towards protecting your data. Once you have contacted your previous vendor, we streamline your files for conversion. Many formats are covered. Additionally, all of your previous downloads will remain in your old system. In the event of a backup emergency, you’ll already have access to historical files. Once EZLynx has begun its process, your attachments, notes, reminders and tasks will be similarly logged. After this, information forwarded to EZLynx will be recorded. Within eight weeks, your files are tested, cleaned up, reviewed and successfully converted to our system. As your data is analyzed, everything is accounted for, and you’ll be kept informed throughout the entire process. Sample batch conversions are used to maintain accuracy, and any missing information is generated within a list by referencing current data. With such a process, full visibility provides an enhanced approach to data migration. Any areas needing attention are discussed before total conversion, reducing any chance of “faulty” conversions. Quality verification is signed off on, and the process is never deemed “finished” until your word grants it. Our time-tested-and-true processes guard your data throughout the conversion process, removing inconsistencies while safeguarding it from loss. This is just one of many reasons why we consistently achieve customer satisfaction scores over 95% year in and year out! It may be time to make the change. After all, once a fear has been realized and logically countered, there isn’t much room left for fear itself, is there? Leave a comment below, or take a look at our Data Conversion overview for more information. EZLynx® Agency Pulse™ is a one-of-a-kind monthly report that delivers enhanced business performance insights to insurance agencies. This monthly agency report aggregates data from EZLynx Rating Engine and EZLynx Management System into actionable business intelligence that helps agency owners and administrators manage their businesses more profitably and efficiently. The EZLynx Agency Pulse report provides agencies key metrics and trend analysis of your insurance agency’s monthly performance, derived directly from your EZLynx data to make targeted, educated business and marketing decisions. EZLynx, with an all-in-one platform that has both a comparative rater and a full-featured agency management system, is uniquely positioned to provide rich, multi-dimensional agency reports that are unavailable in any other system. This powerful agency trend report uses all of the robust quoting and policy data found in EZLynx Rating Engine and EZLynx Management System to deliver eye-opening performance metrics. With so much customer data locked away in outdated agency management systems, agency owners have been desperate for the kind of actionable agency analytics that is provided in the EZLynx Agency Pulse report. Automatically generated each month with both Agency Snapshot and Detailed Information sections, the EZLynx Agency Pulse report delivers performance data in an easy-to-view report that has been designed to provide key performance information based on a collaboration between EZLynx and a team of agency owners. Actionable metrics that help reveal opportunities for growth and increased profitability include statistics and trends on close ratios, retention, clients, carriers, and premium. More importantly, agency owners can see their month-over-month trends at a glance, making it much easier to track strategic objectives and priorities. EZLynx Agency Pulse is available today for customers of EZLynx Management System at no additional cost. EZLynx automatically sends out Agency Pulse each month to all agency owners with an EZLynx Management System account.